Question: I am looking for advice or schematics for a 1979 Ford Econoline C Class (28′) Motorhome. I have tested power supply to RV battery and battery charges with engine running, but not with AC power plugged in. We also welcome any Travelaire owners to chime in with suggestions. Question: Looking for details on plumbing on our 1979 Travelaire Chateau – perhaps a plumbing schematic. It seems that the shower empties into the black water tank. Is this normal or has some previous owner done work and hooked it back up incorrectly? Answer: It doesn’t sound normal to us, but we have no expertise about your model and brand RV. We are posting your question in the hope that others may have input. Question: I have a 1982 Ford Travelaire and I wanted to install a hitch on it. Upon closer inspection I realized the frame does not come all the way to the back. It stops just behind the wheels about 4ft from the back. It then has some smaller frame rails welded to it to support the bumper. Any suggestions? Answer: If it were us, we would have a reputable, qualified hitch business take a look and give you an opinion. We are not familiar with the Ford Travelaire. You are smart to check things out and ensure that an added hitch would be safe and not cause damage to the overall frame. We are posting this question, in case there are other Ford Travelaire owners who might have input or experience. And if anyone knows of an owners’ forum for this brand of RV, please comment. Question: I just bought a 1988 Travelaire RV and was wondering if there is a main shut off for the 110 AC hydro or a generator to hydro switch. I am trying to figure out why the generator isn’t powering up the hydro in the RV. Answer: We are not familiar with the Travelaire brand of RV and are not sure what your question is about. Is the Hyro a furnace/water heater? If so, then there are circuit breakers that control the 110 Volt AC heating elements. On our rig the generator provides power to the AC elements for our furnace/water heater but we do not have to flip any switches make it work. Your rig might be different. We attempted to look for a Travelaire RV owners forum but did not find one and it seems the Canadian manufacturer is out of business. 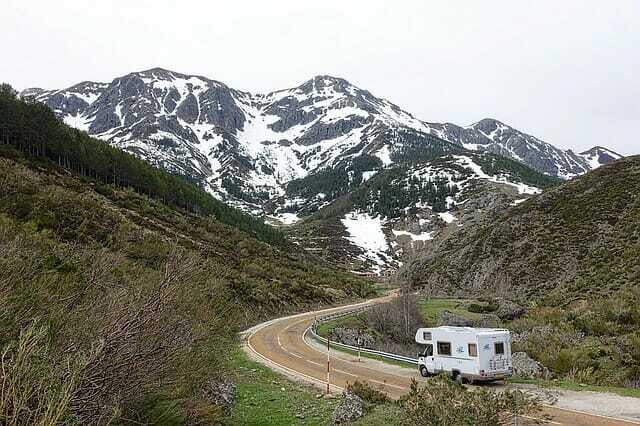 You may have to go to an RV repair shop to have the problem diagnosed and/or repaired. Good luck and let us know the outcome. If others have input, please comment.